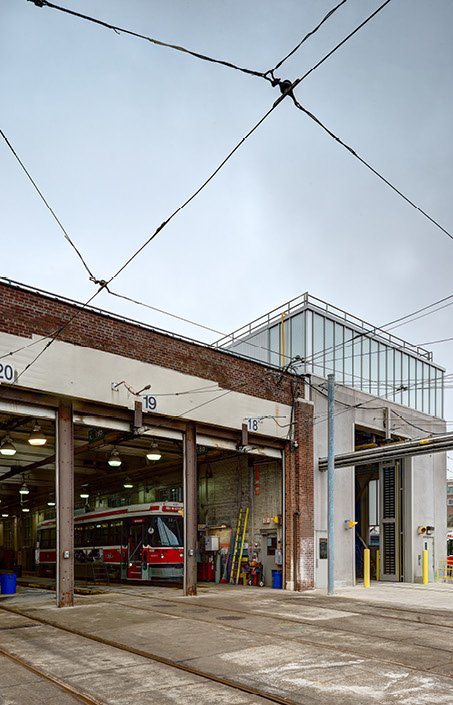 TTC Roncesvalles Carhouse Maintenance Facility - Strasman Architects Inc. 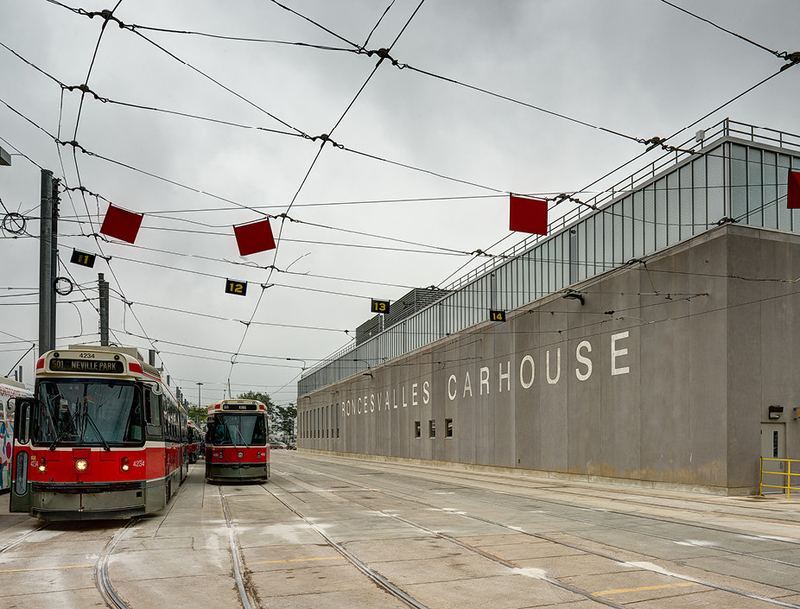 The Roncesvalles Carhouse was constructed in 1895 and has been upgraded in the past to suit changing streetcar technologies and specifications. 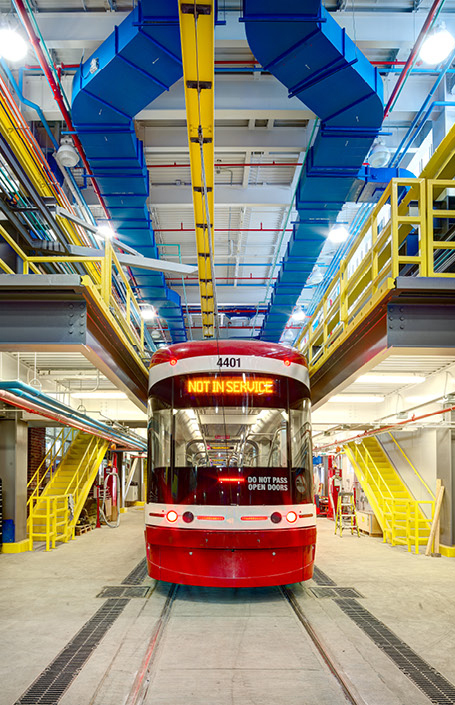 The new accessible Low Floor Light Rail Vehicles (LFLRVs) acquired by the Toronto Transit Commission are longer than the current fleet of standard Canadian Light Rail Vehicles and Articulated Light Rail Vehicles and have different features such as different jacking points, undercar and car body maintenance requirements, traction, heating, ventilation and air conditioning systems. 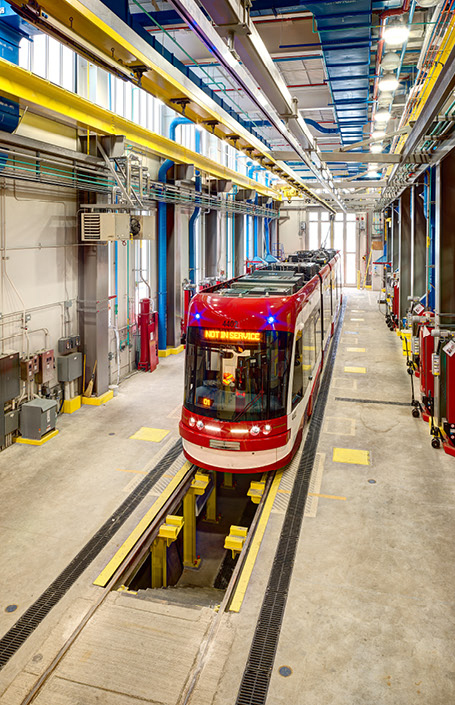 In addition, the new LFLRVs have ancillary equipment mounted on the roof. 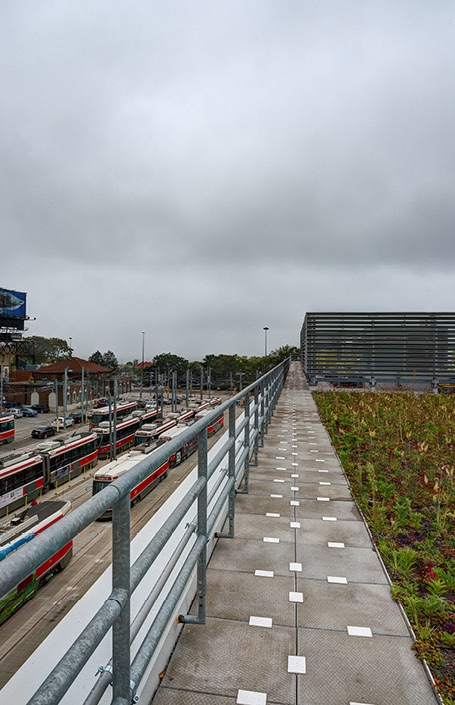 This project consisted of a 10,000sf addition to the existing Roncesvalles Carhouse to accommodate one track, approximately equal in length to the existing carhouse, pit area, overhead platforms for work below and above the vehicles and an overhead crane to facilitate servicing for the new accessible Low Floor Light Rail Vehicles (LFLRVs). 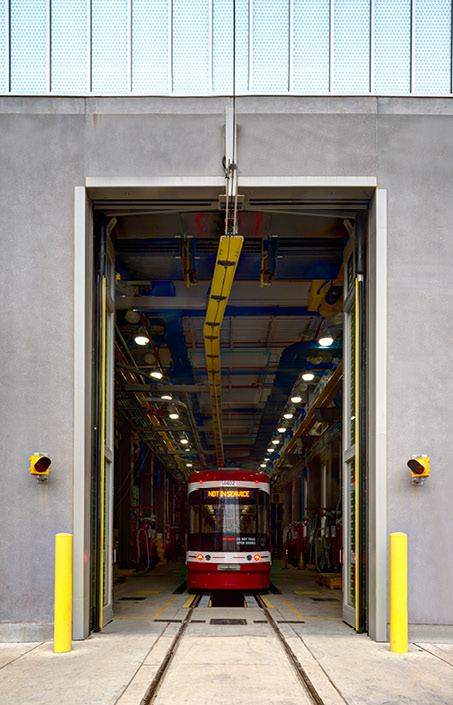 The renovated facility will serve as the west end running maintenance facility, providing the TTC the ability to optimize the number of vehicles stored, serviced, and delivered into daily revenue service in conjunction with Russell Carhouse and Ashbridges Bay maintenace facility where the bulk of maintenance and all of heavy repairs will be performed.